So you want to improve your finances? Managing them wisely is the clue. Here is some advice that you can act on to strengthen your situation. Simple as it may seem, many of you struggle with the most basic financial rule of all – What’s the worth of your job? What salaries do people, employed in similar positions, earn? Consider your productivity, skills, contribution to your employer and other factors, and come up with your own net worth, which your salary should justify. Coming onto your expenses, never ever spend your full salary in a given month, even if your earnings are on the high side. And then stick to it. This way, you know exactly how much you are spending and on what. Credit cards are such a convenient option, but despite that, avoid using them altogether. Why? Because, if you continue to swipe them away, your debt will grow bigger and bigger unless, it becomes unmanageable. Not to forget, that credit cards entice you to make bigger purchases than you normally would with cash. If you still want to use credit cards, make sure you pay off the full balance the very next month. Still in your 20s and 30s? You should start contributing to a retirement plan. If your employer doesn’t have a 401 (k),you can set up an IRA account. What if you are already doing this? Contribute greater amounts then. 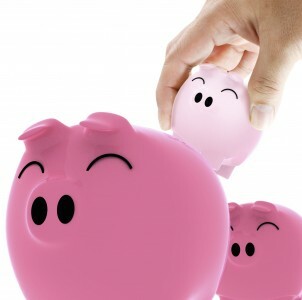 As a rule of thumb, 5% to 10% of your income should always go to your savings account. And this should be done as soon as you receive income. If you delay, you may not have anything left to save at the end of the month.